CHARLOTTE, N.C.--(BUSINESS WIRE)--Level Brands, Inc. (NYSE American: LEVB), an innovative marketing and licensing company that provides bold, unconventional, and socially responsible branding for leading businesses, today announced its revenue share agreement with kathy ireland® Worldwide (kiWW®) related to its joint marketing agreement with Legacy Education Alliance (OTCQB: LEAI), a leading international provider of practical, high-quality, and value-based educational training on the topics of personal finance, entrepreneurship, real estate, and financial markets investing strategies and techniques. Under the terms of the joint marketing agreement between kiWW® and Legacy Education Alliance, announced in June 2018, Kathy Ireland®, world famous and widely respected fashion model, businessperson and entrepreneur, will act as Brand Ambassador promoting Legacy Education Alliance's world-class suite of real estate and financial markets education products and services in alignment with Ms. Ireland's message of entrepreneurship and social responsibility. For its role in introducing the parties and other services to be rendered, Level Brands will receive 50% of all revenue kiWW® generates from its joint marketing agreement with Legacy Education. “The agreement between kiWW® and Legacy Education has the potential to be a multi-million-dollar deal over the next several years for Level Brands,” stated Martin Sumichrast, Chairman and CEO of Level Brands. This press release contains certain forward-looking statements that are based upon current expectations and involve certain risks and uncertainties within the meaning of the U.S. Private Securities Litigation Reform Act of 1995. Such forward-looking statements can be identified by the use of words such as ''should,'' ''may,'' ''intends,'' ''anticipates,'' ''believes,'' ''estimates,'' ''projects,'' ''forecasts,'' ''expects,'' ''plans,'' and ''proposes.'' These forward-looking statements are not guarantees of future performance and are subject to risks, uncertainties, and other factors, some of which are beyond our control and difficult to predict and could cause actual results to differ materially from those expressed in the forward-looking statements, including, without limitation, statements made with respect to our material dependence on our relationship with kathy ireland® Worldwide, our limited operating history, our ability to expand our business and significantly increase our revenues and our ability to report profitable operations in future periods, among others. You are urged to carefully review and consider any cautionary statements and other disclosures, including the statements made under the heading "Risk Factors" in Level Brands, Inc.'s Annual Report on Form 10-K for the fiscal year ended September 30, 2017 as filed with the Securities and Exchange Commission (the "SEC") on December 26, 2017 and our other filings with the SEC. All forward-looking statements involve significant risks and uncertainties that could cause actual results to differ materially from those in the forward-looking statements, many of which are generally outside the control of Level Brands, Inc. and are difficult to predict. 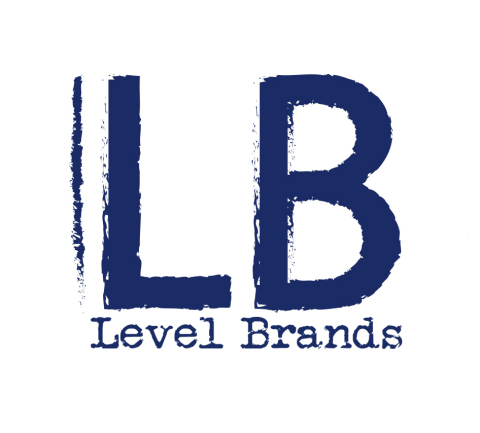 Level Brands, Inc. does not undertake any duty to update any forward-looking statements except as may be required by law. kiWW® is listed as one of the most powerful brands in the world by License Global Magazine. Kathy Ireland® is named one of the 19 most influential women in licensing by License Global magazine and according to Fairchild Publications, Kathy Ireland® is one of the 50 most influential people in fashion. Furniture Today names Kathy one of the most influential leaders in the furniture industry. Kathy graces the cover of Forbes Magazine twice (2012, 2016). kiWW® is responsible for billions of dollars in retail sales. kiWW® is the recipient of multiple awards including several Good Housekeeping Seals. Kathy and kiWW® support many non-profits including: YWCA Greater Los Angeles for which she is an Ambassador, Dream Foundation, Providence Educational Foundation, 911 for Kids/AEF, and the St. Jude Children's Research Hospital. Kathy is named an Ambassador for the Elizabeth Taylor AIDS Foundation.